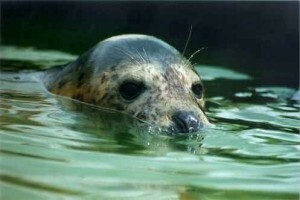 The Irish Seal Sanctuary is a professionally run wildlife hospital, rescue and rehabilitation facility. We are sustained largely by voluntary effort and donations from the public. The Irish Seal Sanctuary is happy to acknowledge the support of of Department of Agriculture and Department of Environment, whose ex-gratia and core funding grants are acknowledged in 2015 accounts and elsewhere as required by DPER. circular letter of 13/2014. Ireland has 6,000 km of coastline excluding islands and has jurisdiction over 18% of European waters. At the ISS we provide a rescue and rehabilitation service for the entire country. Over the past 20 years we have seen a dramatic increase in the demand on our services. We currently deal with in excess of 1,000 telephone calls every year reporting injured or distressed seals, or marine related incidents. The Irish Seal Sanctuary deals mainly with seals, (Grey seal and Harbour Seals) but has also rescued dolphins, porpoises, otters, and numerous birds in distress.